We, Lotus Traders Ltd., is recognized as the most trusted business partner when it comes to world class construction machinery. Send Inquiry Concrete Batching & Twin-Shaft Mixing PlantAKONA ENGINEERING PVT. LTD. 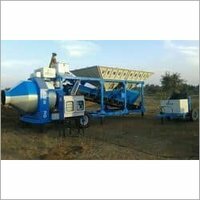 Looking for Concrete Batching Plant ? Mini Mobile Batching Machine We are remarkable entity, who offer superior assortment of Mini Mobile Batching Mach...We are remarkable entity, who offer superior assortment of Mini Mobile Batching Machine. Heavy Duty, Robust Model with inbuilt weighing system - load cells based to give more accuracy of aggregate, sand and cement weighing. Very easy to operate. Available in single bin, three bin weighing system.